Being injured in an automobile accident is a terrible experience. Most people who have been in a traumatic situation like this wish they could go back to a time before the accident. Unfortunately, life doesn't work like that. At The Collins Law Firm, we realize that we cannot give you back your life exactly as it was before your accident, but we can give you something else. We can give you all the compensation available for what you lost-your health, a job, money, time, maybe even a loved one. We can fight for you and get you justice. You may say you don't want to be involved in a lawsuit. Maybe you believe that people who sue are motivated by profit or revenge and that is distasteful to you. But an auto accident lawsuit is not about profit or revenge. It's about fairness. Was it fair that you were injured because of someone's carelessness? Of course not. A car accident settlement helps you recover some of what you have lost. At The Collins Law Firm, we believe you deserve that, and we will fight to get it for you. Why Should You Hire an Auto Accident Attorney? What Can Our Car Accident Lawyers Do for You? Do You Have a Car Accident Lawsuit? What Types of Damages Can You Claim? What Kind of Motor Vehicle Accident Cases Do We Handle? 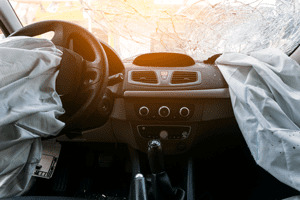 What Types of Injured Car Accidents Victims Do We Represent? Can You Access Insurance in Addition to the At-fault Driver's Policy? How do You Determine Who is at Fault? How Dangerous is Driving in Illinois? Studies have shown that when an accident victim retains a competent attorney, he or she receives a settlement that is on average 3 ½ times the amount a victim receives without legal representation. The initial consultation is free and the lawyer receives no money unless you do. You get peace of mind. Your lawyer will talk to and negotiate aggressively with the insurance company-- so you don't have to. Your lawyer can prove who was at fault. If there is going to be a fight over fault, especially if that fight will occur in a court, you will need a car accident lawyer's help. The more serious your injury, the more the insurance company may resist your claim. You will need a lawyer to fight for you and level the playing field. Thoroughly investigate your accident and consult with experts, if necessary, to determine how the accident happened, who is at fault and how to get you the maximum available compensation. Determine how much your claim is worth. Attend traffic court on your behalf. Fight to get you the best possible result. Make sure your documentation is filed on time and in the proper place. Negotiate with the insurance company, when appropriate, so you don't have to go to trial. 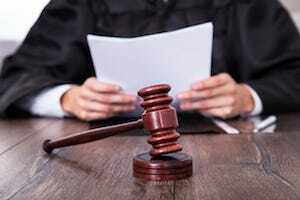 Represent you in court if the insurance company refuses to settle. Our mission is to help you after you have been in an accident. While we might not be able to give you your life back exactly the way it was before the accident, we can give you a measure of justice. Plaintiff's decedent was killed when a bus driver negligently ran a red light at a Chicago intersection colliding with the decedent's vehicle. The decedent was survived by a spouse and three minor children. Plaintiff suffered multiple fractures when the car she was driving was hit from behind at a high rate of speed. Negligence: Was the other driver careless? Did he or she ignore a traffic light, or was he texting, speeding or under the influence? Details like these are important. Personal Injury: Did you get injured because of the accident? If you sustained a broken neck or arm because of the car crash, the other driver's negligence would be considered the cause. 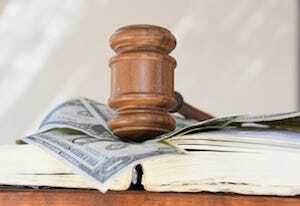 Compensatory Damages: Did the personal injury result in harm to you that can be expressed in dollars and cents terms? Examples of such harm would include: medical bills, disfigurement, disability, pain and suffering, loss of companionship, lost wages, i.e. things for which you can be compensated. 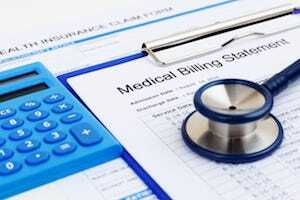 Medical Bills: You are entitled to compensation for all past and future medical expenses relating to the injuries caused by the accident, including surgery, medical devices, medication, emergency room visit and hospitalizations. Lost Income: If you are missing days of work because of your accident, you can be reimbursed for all past and future wages lost as a result of your injuries. You have a right to earn a living, and if your injury prevents this, you can be compensated for your lost salary, bonuses, commissions and any other fringe benefits. 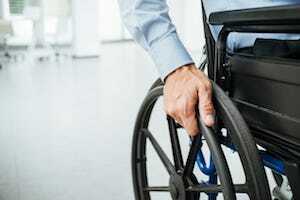 Disability: if you are unable to pursue activities which you used to enjoy in your everyday life as a result of the accident, you are entitled to compensation for that. Disfigurement: You can be compensated for any scarring or permanent disfiguring injuries to your body that were the result of the accident, such as surgical scars, burns and amputations. Pain and Suffering: As an injured driver, you can be compensated for all physical and mental suffering that you experienced due to your car accident. Emotional Distress: People sometimes overlook the mental distress that can be caused by a serious accident. You can recover for anxiety, PTSD, insomnia, depression and other mental issues that have definitely been caused by the crash. Property Damage to your Car: You can be reimbursed for all vehicle repairs and even the fair market value to replace your car if is "totaled". Punitive Damages: These damages are sometimes awarded if the other driver engaged in intentional misconduct or extremely reckless behavior such as drunk driving. They are intended to punish the person and deter him or her from engaging in similar behavior in the future. 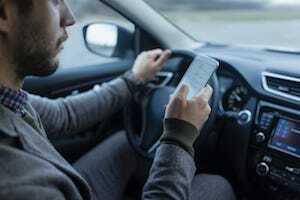 Distracted Drivers: In this cell phone age, even adults are often guilty of distracted driving. Texting or talking on a cell phone, eating or even looking down for only a few seconds can cause a serious accident. Speeding Drivers: Driving with someone who has a "lead foot" can be terrifying. Some people habitually speed, other times people are in a hurry to get to an appointment or are even joy riding. All of these activities increase the likelihood of an accident and cause roughly one-third of car crashes in Illinois. DUI Accidents: Accidents which involve someone who is under the influence of alcohol or drugs are unfortunately common and can be very serious. Approximately one-third of all fatal accidents in Illinois involve an alcohol impaired driver. Many times these drivers are unlicensed. Unlicensed drivers were responsible for about one-sixth of fatal accidents. In addition, drivers using illegal and prescription drugs are on the rise. 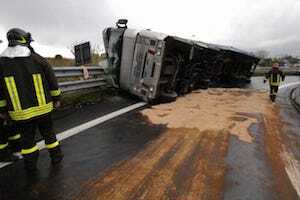 Truck Accidents: Commercial truck accidents are often the most serious because of the weight difference between the truck and the other vehicle involved. In addition, truck drivers are often fatigued, speeding or distracted. All of these conditions can cause accidents. Bus Accidents: Thousands of people in Illinois rely on buses to get them to and from school and work. A negligent bus driver can put dozens of people at risk of serious injury or death. Train Accidents: The operators of train lines owe their passengers the highest degree of care. Faulty tracks, equipment failures and conductor errors can lead to tragic accidents. Fatigued Drivers: People who drive long distances are most likely to be driving when fatigued. Getting to that vacation spot early is not as important as staying safe. Fatigue can be just as big an impairment as alcohol. Teen Driving Accidents: Because they have so little experience behind a wheel, teens are more likely to cause an accident. In addition, they are often distracted by texting or talking. In fact distraction is a factor in 58% of teen accidents. Reckless Drivers: Aggressive drivers are a problem in Illinois. Speeding, running a red light and failing to yield the right of way are examples of reckless behaviors that can cause car accidents. Head-On Collisions: These can be the most serious types of accidents and often result in long-term, or even fatal, injuries. Side-Impact Collisions: Usually occurring at intersections, these accidents can cause injury especially if a car does not have side airbags. Rear-End Accidents: These are the most common accidents and can be caused by distracted driving or a driver who is "tailgating" the vehicle in front of him. Motorcycle Accidents: Motorcycle accidents often involve serious injuries because the rider is not as protected as a driver in a car. A careless mistake by a driver of a car can send a motorcyclist flying. However, motorcyclists themselves can also cause dangerous situations by speeding, driving between the lanes or not wearing a helmet. 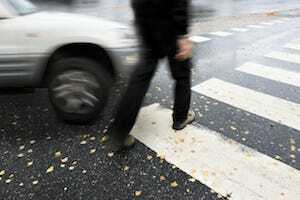 Pedestrian Accidents: Pedestrians in intersections can be struck by drivers failing to keep a proper lookout, turning improperly or speeding to beat a red light. Bicycle Accidents: Riding a bicycle on a busy street can be a dangerous activity. Very often cars do not pay enough attention to cyclists which can cause an accident. Vehicle Defects: Auto manufacturers can be responsible for auto defects like faulty brakes that cause a driver to injure another person or that injure the driver himself. Sometimes defects in safety equipment like airbags can make injuries in a crash worse. Uninsured/Underinsured Drivers: If the at-fault driver does not have insurance or does not have enough insurance to cover your damages, you may be able to get compensation through your own uninsured or underinsured motorist policy, if you have them. It is critical that your lawyer know every injury that you sustained in order to represent you properly and get you a fair recovery. Do not talk to the insurance company after an accident. The insurance company is motivated to settle your claim as quickly as possible for as little money as possible. It is the job of the insurance company representatives to do this and they are well trained. They may try to get a recorded statement from you that will help their case, not yours. They are experts at getting you to say something that can be interpreted as an admission that you are partly at fault or that you are not entirely sure what happened. They are not trying to help you or "do the right thing"; it is not in their best interests to do so. They may also tell you that you do not need a lawyer. This is simply untrue. In fact studies show that people injured in car accidents who retained an attorney received over 350% more money in compensation than those who did not. So, the way to "deal with" the insurance company is to let your lawyer do that for you. Your lawyer is experienced in dealing with the insurance companies, and can protect you against any tricks or strategies they might use to try to take unfair advantage of you. At The Collins Law Firm we negotiate directly with the insurance company, after a thorough review of your case, to determine the full extent of your losses, including property damage, medical expenses, lost wages and pain and suffering. Once we are sure of the true value of your motor vehicle accident claim, we will fight to get you the best recovery either through negotiation or in court. Illinois law requires drivers to have insurance policies that pay for property damage and bodily injury caused to other drivers. Hopefully, the at-fault driver will have enough insurance coverage to compensate you fairly. If the at-fault driver does not have enough insurance to cover your injuries, you may be entitled to additional compensation if you purchased a UIM insurance policy. This coverage can pay for your damages above and beyond the at-fault driver's coverage limit--up to the limit of your UIM policy. If the driver of the other car does not have insurance for some reason, you can make a claim under your own uninsured motorist policy, if you have one. Illinois law requires you to have this policy and it covers bodily damage to you, your passengers, members of your household and others authorized to drive your car in the event you are hit by an uninsured motorist. Our attorneys can review all your insurance policies to see if you have any other type of insurance that might be available, such as insurance for medical payments, collision and comprehensive coverage. Fault is determined by who was negligent and caused the accident. In order to claim that the other driver was negligent, you must show that the he or she violated a "duty", like failing to follow a traffic law, and that this violation caused the accident and your injuries. The law recognizes four basic levels of fault: negligence, recklessness, intentional misconduct and strict liability. Negligence means careless or inadvertent behavior that resulted in an accident, like not seeing a stop sign and failing to stop. Recklessness refers to willful disregard for the safety of others. An example of this would be drunk driving. Intentional misconduct obviously means that someone tried to injure you on purpose. Strict liability would refer to defective car parts or extra hazardous activities such as driving a truck that is loaded far beyond its legal weight capacity. Driver is in a government vehicle and is being negligent. Driver is in a company vehicle and is being negligent while "on the job" for the company. What happens when you are partially responsible for your auto accident? You may still be able to recover damages if you were less than 50% negligent. However, the amount you could recover would be reduced to correspond with the percentage that you were at fault. Driving in Illinois can be dangerous business. Every day people are injured in car crashes in Chicago, the suburbs and downstate, even if they are safe drivers. You cannot control the actions of every other driver. But just how dangerous is it? Here are some car crash statistics from the Illinois Department of Transportation from 2014, the latest year for which complete information is available. When are You Most Likely to Get in a Car Accident? For all types of crashes: noon - 8 pm is the most dangerous time, likely because this is when the most drivers are on the road. Fatal crashes are also high between 8 pm and 4 am, when fatigue and impaired driving occur. For most crashes Friday and Saturday are the most dangerous days. Fatal crashes peak on Sundays in the early a.m. If you are in an accident, it is important to obtain legal representation quickly so your attorney can gather crucial evidence. Contact The Collins Law Firm today at (630) 527-1595, extension 221 for Shawn Collins or extension 226 for Edward Manzke, to schedule a free consultation with an experienced member of our legal team. We fight to get the best results for all of our clients who have been injured in auto accidents, as well as many other types of personal injuries. To find out about the other kinds of cases we handle please click Here.